Evenings tend to be the worst time for sweet cravings. You have been good all day and come 8 pm, that chocolate chip cookie is really calling your name! To avoid late night dessert indulgences I always like to come up with healthier options that will still satisfy my sweet tooth. Tonight, I decided to make banana oat bites. They have the perfect amount of sweetness to keep me from going on a sugar binge. Best part? You only need 4 ingredients and they cook in about 15 minutes! Mash up the bananas with a fork then mix in the oats, cinnamon & chocolate chips. 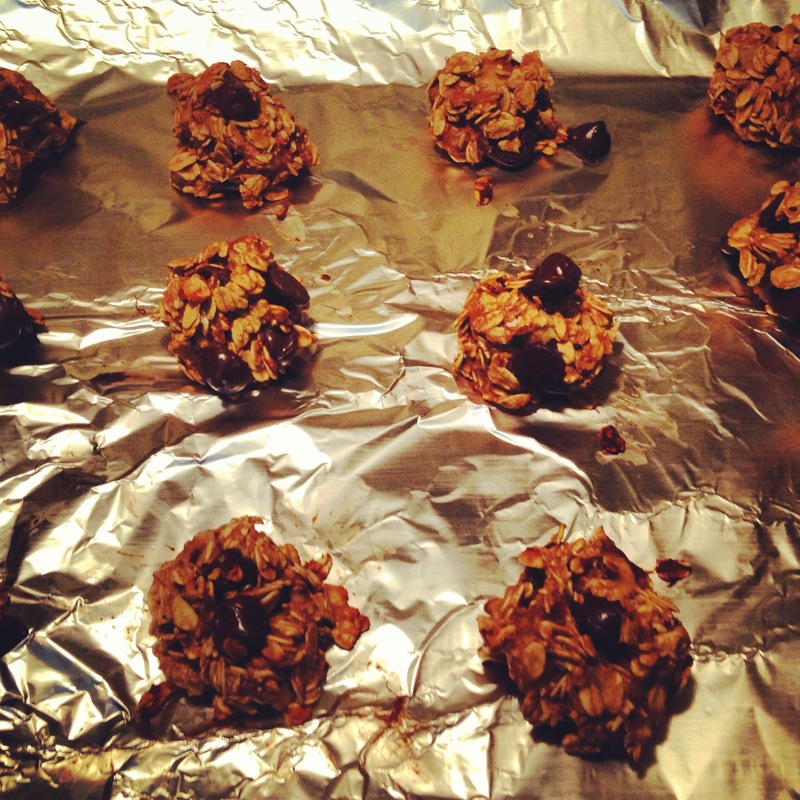 Form the mix into small balls on a cookie sheet and place in the oven for about 15 minutes at 350 degrees…enjoy! What is your favorite healthy dessert? Twenty-something San Francisco native hoping to motivate others to live and maintain a healthier lifestyle, while still making sure to get her eight hours of sleep. Hemp Seed: The New Chia Seed of 2014? Almond, Soy, Rice, Coconut? What’s the Difference? Asparagus to Cure a Hangover?